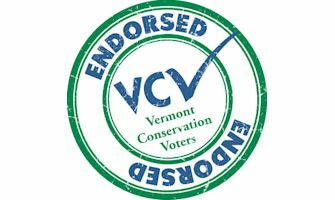 Matt Birong is dedicated to helping the middle class and working families of Vermont. As the owner of a successful small business, Matt understands the need to pass paid family and medical leave and close the gender pay gap. He will be a much needed change-maker in the State House. Matt Birong's experience as a business owner makes him an excellent candidate for State Representative. His fresh ideas regarding our rural and local economy will help Vermont businesses and families thrive. 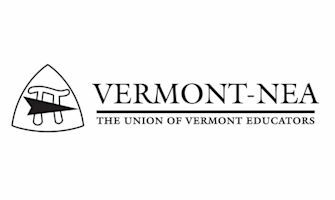 He is committed to creating opportunities for our workforce that enable more young Vermonters to begin and grow their careers here. I am proud to support Matt Birong for State Representative. 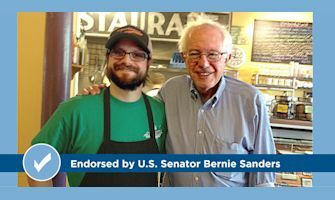 As a small business owner, he understands the issues facing working Vermonters and will work for economic prosperity for all. He is hard-working and a person of integrity. Matt will be a strong voice for responsible investment in our families, the environment and our economy. There are a few things you might not know about Matt Birong. Most people know he is a successful businessman. His restaurant Three Squares is at the center of Vergennes’s historic downtown and is a hub of activity 24/7. Matt hosts professionals, business leaders, families, high school students and tourists and the lively atmosphere draws people into the City and fosters a sense of community and prosperity. He is a positive force in the community, well known as being interested and engaged in everything that makes Main Street, the region, and the State a special place to live, work and visit. But you might not know what goes on behind the scenes. Matt consistently hires people who need a second chance. Perhaps it’s a man down on his luck that has struggled with substance abuse and done some time during his youth. Or a mother of two toddlers who has lost her housing and is trying to put her life back together. Or a new American, highly skilled in her own country but struggling to find good work in a land where everything is different. Maybe it’s someone who comes without good references or even some bad ones. Matt hires people, trains them, and then supports them. If a child is sick, he understands. If someone needs some flexible shifts, he makes it work. He sees the potential in people and when he can, he offers advancement: a shift manager, a supervisor, or financial assistant. He provides more than a paycheck. He offers trust, dignity and a chance to be a valued member of the community. Recently I was about to get out of my car and go into the restaurant. I saw a local man who works at Three Squares go in. I sat for a few minutes preparing for my meeting, and soon the man came out. He carried a big coffee and a paycheck, and he was smiling so happily to himself. I could tell that he had just been welcomed by his co-workers and customers, and was off for the day with a sense of belonging, of being a contributing member of a community. Matt creates a positive can-do atmosphere in his business. He listens to and includes everyone. We can use more of that in Montpelier. I am writing to encourage neighbors and friends in the Addison -3 District (Addison, Ferrisburgh, Panton, Vergennes, Waltham) to vote for Matt Birong so that he may represent us in the Vermont Legislature in January 2019. 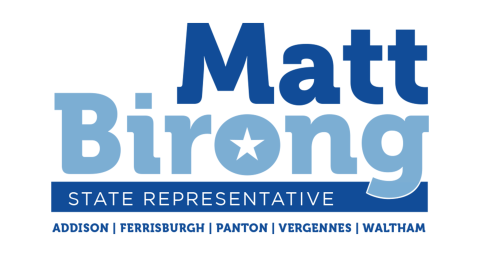 Matt Birong has the energy, commitment, vision, and experience to represent us well. 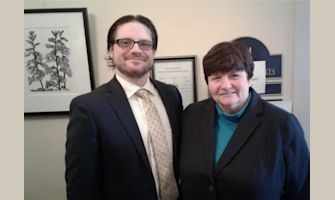 He believes in a strong local economy and as a successful business owner in Vergennes, he knows the importance of a vibrant downtown. He also understands that economic vibrancy does not happen in a vacuum. It takes collaboration, patience and creative thinking for a community to thrive. He also understands that in order for businesses to thrive, there needs to be an educated and fairly compensated workforce. He gets the connection between accessible and effective education and the ability to foster a strong workforce. 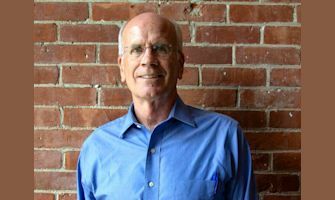 In this regard he is a champion for education models that complement the variations in a learner, which includes expanded vocational education options. He also believes in a socially conscious approach to the environment and the effects sustainable practices may have on communities and businesses. I think we can all agree that healthy communities, healthy businesses, healthy education systems, and a healthy environment are important to all of us. Matt Birong is uniquely qualified to be our champion in Montpelier on all of these issues. I urge you to vote for Matt Birong and allow him to bring his fresh, exciting, and passionate perspective to our state capital in 2019. I was lucky to meet Matt when he moved to Vergennes and opened 3 Squares Cafe. Through his hard word and dedication, Matt's family restaurant has become a destination in our community. Matt is committed to and believes in our small business. That's why I'm voting for him for the Vermont House this November. 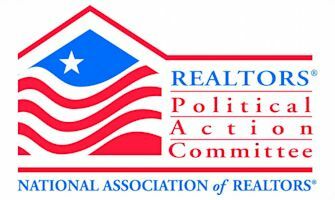 Join me in making small business a priority in this election.